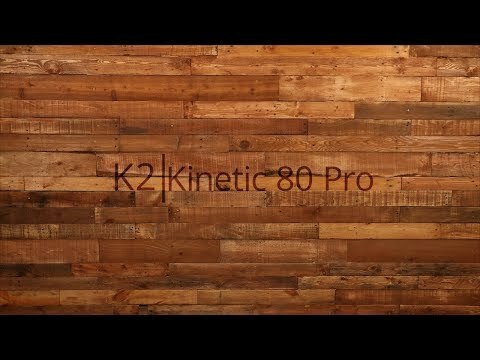 The K2 Kinetic 80 Pro inline skates offer a lot of features in a lower priced skate. Many of the same features that make K2's high end skates stand out can be found in the Kinetic 80 including K2's softboot technology, stability plus cuff, speed lacing and more. The K2 softboot and stability plus cuff work in perfect harmony to provide both comfort and support making this a great skate for both the beginner skater as well as the skater bridging the gap between beginner and intermediate. Making it quick and easy to put on the skates and start skating is a Speedlace system which offers one quick pull and lock to get going, and an even more rewarding pull and release to get the skates off after a lengthy skate. 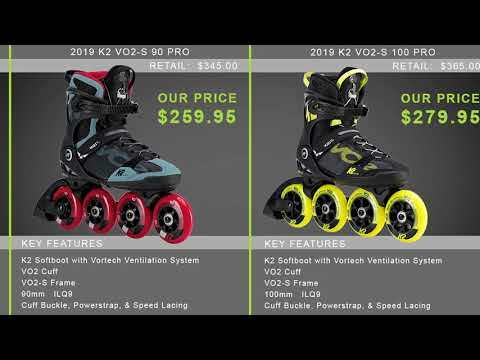 The K2 Kinetic 80 Pro inline skates are here to offer you an inexpensive way to get into a great inline skate. I would recommend go down half a size. Q: I don't know which skates to buy....I'm between K2 FIT 80 Pro and K2 kinetic Pro...same price. I used to skate on junior and highschool, about 15 years ago and I want to re take it... I just want them to make some cardio and maybe some small tricks...180, 360, jump stuff, etc... Which ones do you recommend me??? A: Those skates are not going to be designed for tricks as they are fitness style skates. If you really want to dip your toes into tricks and fitness with the same skates I'd recommend an urban style skate like the K2 Midtown, Uptown, or Broadway. Those are going to have a shorter length frame and more sturdy support making them more capable of handling small jumps and whatnot while still offering large enough wheels to skate for cardio. Q: Will you be getting these back in stock in 9.5 or 10? A: I don't see any on order at the moment and we most likely will not restock this season. We do have the K2 F.I.T. 80 Pro in stock in a size 10. If you'd like to order this specific skate in a size 9.5/10 please contact customer service and they can look into ordering that for you. 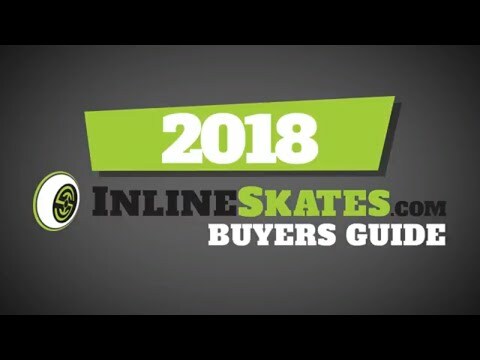 Q: Is the color scheme the only difference between these and the Womens Kinetic 80 Pro Inline Skates 2018? The sizing shown is Mens, correct? I wear a womens 5.5 to 6 (EU 37) would these be able to fit me? I am looking for (not too expensive) skates to use on a large college campus in very warm weather (therefore moderate-fast speed and medium-high ventilation preferred) Any recommendations? open to using mens, womens, or kids as long as they'll fit. thanks! A: This is the men's version of the Kinetic and the graphics are different, as well as the fit and sizing. This is sized in men's sizing so you'd need to drop a full size to get the proper size which this skate is not offered in that low of a size. I'd recommend the women's version of the Kinetic as it will offer a women's specific fit offering a slightly narrower fit and a lower cuff to accommodate a women's calf muscle. We do have the Kinetic 80 women's in a size 6 which sounds proper based on the information provided. That would be a solid choice for not so expensive skates that are quality and will offer a comfortable fit.